The 606 has a claimed sensitivity of 88dB and a frequency response rated to go down to 52Hz. On this model, and the rest of the 600 Series passive speakers, you’ll find dual binding posts at the rear, handy if you’re into bi-wiring or bi-amping. B&W has reduced the size of the centre channel enclosure in the 600 Series, in the hope that the compact HTM6 will prove more appealing to consumers and less of a placement conundrum. This uses two 5in Continuum bass/midrange drivers, sited either side of its aluminium tweeter. Its a little less sensitive (87dB) and, as is often the case with a centre speaker, the frequency response isn’t as deep, going down to 72Hz. 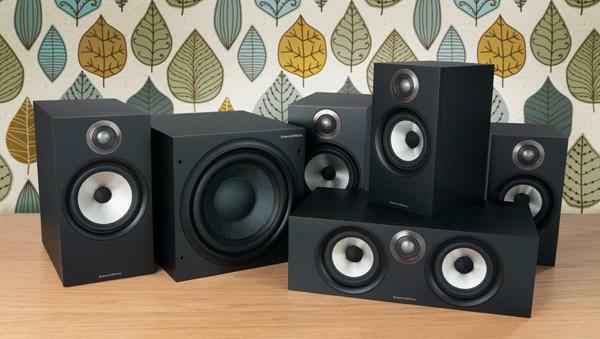 In this package the entry-level 607 standmount speakers are on surround duty. They look almost identical to the larger 606 aside from the smaller (5in) midbass driver. Sensitivity is rated at 84dB, yet frequency response remains at 52Hz. This entry was posted on April 5, 2019, 6:34 pm and is filed under Home Theater Audio System, Review. You can follow any responses to this entry through RSS 2.0. You can leave a response, or trackback from your own site.